This is probably the most beautiful lullaby collection I've ever heard. My 2 1/2 year old son absolutely adores it . . . especially the versions of Hush, Baby and Twinkle, Twinkle Little Star. The music is far from old fashioned, yet it is amazingly relaxing and calming --- even for a very excitable little boy. 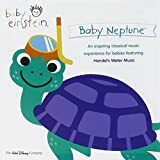 While it is great for a small child, I find it the perfect music for adults to listen to when taking a nice relaxing bubble bath or trying to unwind for the evening. I'm a huge Dave Koz fan and always adore his selection of guest artists (Peter White, David Benoit) and this CD is no exception. They all made fabulous contributions to this album. From the first lush, bell-like sounds of "Blackbird", it's obvious that this CD is all about the lullaby. And I've never heard a prettier collection of music in my life. Maybe it's the sentimentality of being the father of a 15-month old, but more than a few tracks brought me near to tears, and that's on the first listen. Each expressive note evokes the sounds of a small stuffed animal, mobile, etc playing those tinky notes that sounds like the sweetest music ever played. Highlights are "Blackbird", Brahm's Lullaby, "When You Wish Upon A Star", "Golden Slumber", and....."Isn't She Lovely". The soft, amazing, understated vocal for this song creates an interpretation that floored me. Be warned - you will never forget it. It's a reworking of the song that rises well above Stevie Wonder's and really brings out the words in a whole new, beautiful way. I'm sure this is not for everyone. It's very mellow. There's no great improvisations for the jazz purists. But it's a great sound and I think every new parent should receive a copy. I like this CD very much. I like it almost as much as my best lullaby CD, ANGELS ALL AROND ULLABIES, by GENIE. I would get them both. This CD is amazing. My husband is a fan of David Koz and he bought this for our now 16 month old son. When I first rocked and held him to the sounds of Isn't she Lovely...I just cried at this miracle I held. The songs are very soothing, even to me and as soon as I put this CD on, my son knows it's time for sleep. Of all the many lullaby CDs I have, this is my favorite! I highly recommend it. 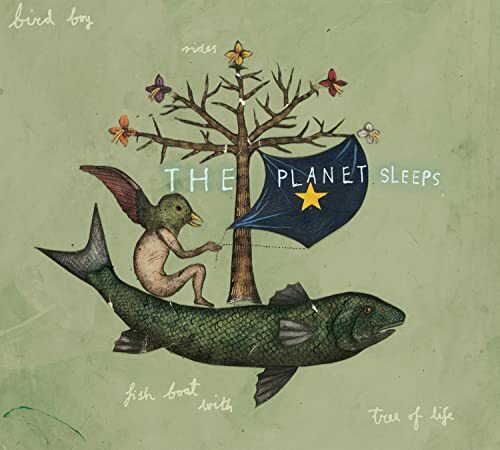 Initially, I ordered The Planet Sleeps to add to the multicultural music collection at my daughter's elementary school library; the CD arrived last night, and I became so taken with it that I already plan to order several more as new baby gifts as well as one for my own children. The hauntingly beautiful "Chi Mi Na Morbheanna" (which I listened to nearly 20 times in the first 24 hours) is worth the entire purchase price, but the other songs are marvelous too, and those that don't have immediate appeal will most likely grow on you. I was holding my toddler son in my arms while listening to the CD, and he fell asleep during the sitar lullaby from India. 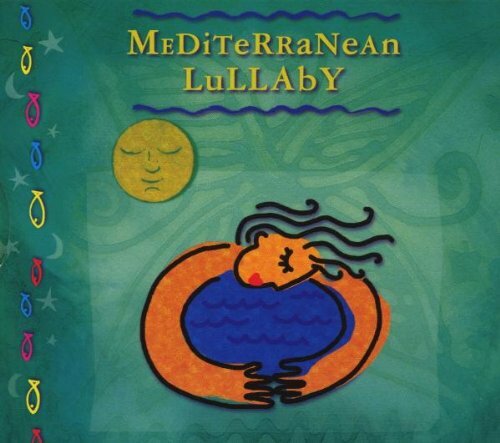 For those of us trying to raise our children with a familiarity and appreciation of other world cultures, this lullaby collection is truly invaluable. The extensive liner notes (36 pp.) are often quite moving, offering details about each artist, country, song, and recording experience as well as a song translation. The back of the case says "music meant to bring bliss into a frantic world." This collection certainly achieves its goal--and it's not just for bedtime by any means. The most beautiful CD ever to grace my home. This CD is exactly what I have been looking for. I play it softly as background music while playing with my 2 year old and 6 month old. "Ana Latu" is one of our favorites. I also feel that the write-up on "Oj Talasi" alone is worth buying the album. David Field journals his work at compiling these lullabies, adding to the feeling of connectedness that imbues from this collection. I was especially glad (and surprised) to find a lullaby from my own distant heritage, "Yahnaway Hay Yowna". This disc makes a wonderful baby shower or blessingway gift for expectant parents. The "jewel" case is all-natural, too, better for our Mother Earth! 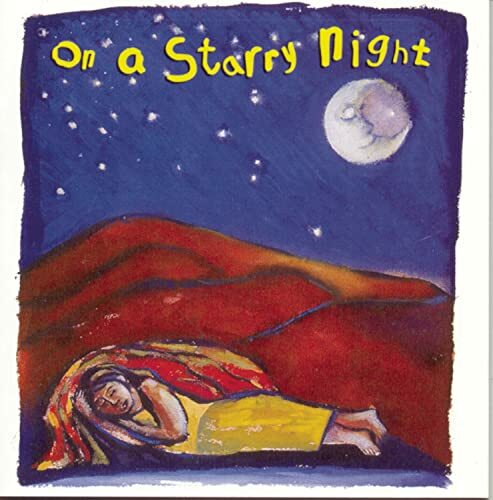 I started listening to this CD when I was 7 months pregnant to help myself go to sleep. Since my daughter was born 5 months ago, we put it on whenever she has trouble calming down to go to sleep. As soon as the music starts she begins to relax and takes her nap. We all love hearing the beautiful lullabies play throughout the house. I can't understand most of the songs (I think there's only one in English, if that), but the music speaks a lot just as the words do, so it's good. Each song is enchanting and engrossing, you get lost in the melodies. They are all smooth and calm, peaceful. I suggest this album to anyone who just wants to unwind and let loose all the stress of the day! I have been listening to this album for the past seven years and never grown tired of it. I bought it to play for the children I taught, but I have come to love it myself. It is the sure cure for nighttime tension, and beautiful to listen to at any time. I bought this for my newborn baby partly so I could learn some lullaby songs to sing him myself. I would play it and sing along. We eventually had a few favorites, and I would at least sing our top three favorites every night (with or without the CD), but somethimes we'd sing all the songs with the CD. My husband would just play the CD and rock the baby. Many months later, after not having played it in a while, we took the CD with us on a trip out of town and when our "baby" got fussy during the long ride from the airport to our destination, we popped in the CD and put on the #1 favorite, and he was asleep in half a minute!!! Beautiful songs. Beautiful voice. "All through the night" is so beautiful it still makes me tear up. 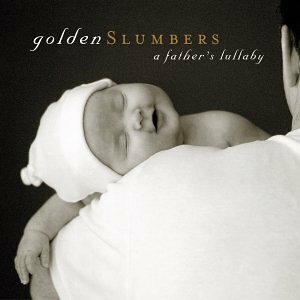 I started playing this CD for my newborn and it is so beautiful I actually look forward to playing it over and over again. Tina Malia's voice is so rich and soothing it calms both me and the baby down almost instantly. I love singing along with it while rocking him and usually listen to a few more songs just for me after he's gone to sleep in my arms. A must buy! puts baby & mommy to sleep! This is a great CD, and Tina Malia has a gorgeous voice. The only problem is that I almost pass out while feeding my son when this CD is playing! Her rendition of "Somewhere Over the Rainbow" is especially beautiful. We received this CD as a gift for my baby shower...Tina Malia's voice is incredibly beautiful. We listen to it over and over, not only does it help come the little one, it helps to calm mommy! This is music we can listen to over and over again. My 3 year-old loves it as she falls asleep - it never fails to calm her down. 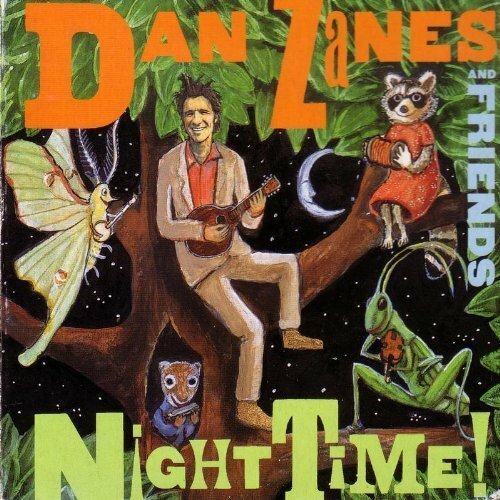 We saw Dan Zanes perform here in Houston and it was great. Afterwards we bought the Cd and our two year old loves it. It's kind of funny to hear your child singing "Pay me/ You Owe me" at the top of his lungs in the car. Musically, it's quite sophisticated folk music that most adults will enjoy juts a smuch as the kids. The thing I really appreciate is that Zanes doesn't dumb it down for the kids. Oh and yea, guests include people like Lou Reed and the brillian Pappa Goose (who you just have to see live to appreciate fully) are a treat. We love this CD!!! The music is so fun and wholesome while also musically sophisticated. There are so many great instruments and words...fantastic. This CD has been a nice background while pacing with an overtired little one. It is also great sing a long music as well. I can't wait to get the rest of Dan Zanes CD's! 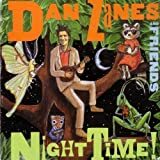 Simply put, Danny Zanes and Friends Night Time is a knock out punch for warm hearted, cool minded little ones. My wife and I are fairly serious about getting our 1 year old Marley introduced to music she can really enjoy and groove to from day one. Danny and crew offer the beat, lyrics and diversity we find so appealing. Let me reiterate our enthusiasm by saying: 1. this is the best kids cd ever made (we have dozens); 2. all Danny Z. CDs are fun for the whole family (if you can get certain songs out of mind); 3. we have changed our answering machine message several times in the past year and always default to a Danny Z. song in the background (if only for a lick or two); 4. we just ordered 9 copies for all our friends who recently announced a birth! How's that for a ringing endorsement. My fussy baby loves it! 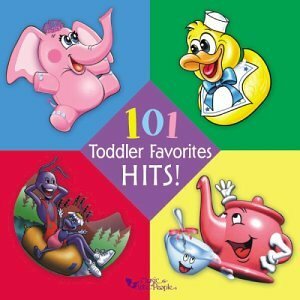 Not only is this a fun CD for kids and adults, my fussy 3 month old baby really loves it. There are times when he's fussy and crying and as soon as I put this CD on and the first song starts playing, he immediately stops crying and calms down! He also hates the car and cries whenever we drive anywhere, so I have this CD in the car as well. It has made our car trips much more enjoyable. BUT, Beware buying too quickly... (as I did) because the Blue Cover & Pink Cover ARE THE SAME CD!, so you'll get the same CD with different cover!. (Well, I would make a present of the redundant... but I guess it's a silly mistake to buy them both thinking they are Vol I and Vol II). 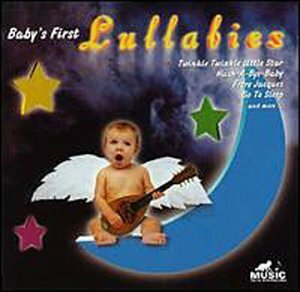 A must have lullabies CD. many beatles albums made for the younger set often stink.., but THIS is the good stuff. the songs are beautifully done, and don't have the nasty remake feel many beatles remake albums do. I am not a huge Beatles fan. I like them, and have a lot of good memories, but that's not why I love this album. First, I believe it's important to play music to a baby (I'm a couple weeks away from having my first, so I'm no expert--it just makes sense to me). This music is so soothing and entertaining at the same time that I can't believe it. I find the songs running through my head during the day. Obviously I haven't played it for my daughter yet, but my wife and I have gone to sleep to it as we try to bank some rest before the baby comes. You can easily get the feel of this album by listening to the samples, which are representative. Also, this is a cool and different gift. If you know a Beatles fan having a baby, its a must. And you thought you were doomed to listen to those crummy fake vibraphone/music box sounds forever now that you are a parent? Thank you, Putumayo for not insulting our intelligence. These beautiful songs will provide your child with an enriching listening experience, and you will love them too. My favorite is the South African "Thula Mama" and I find myself singing it to my little one often. We first learned of this CD by borrowing from the library and now we have bought it. The selection of music is beatiful, our daughter loves to listen to it at night before going to bed. Our favorite song is the one is Spanish from Mexico. This CD was a lovely gift, given to us by a friend of a friend, who had never met me or my beautiful daughter, yet had given us one of our most treasured "baby items" to date. Every song on the cd is soft and soothing. 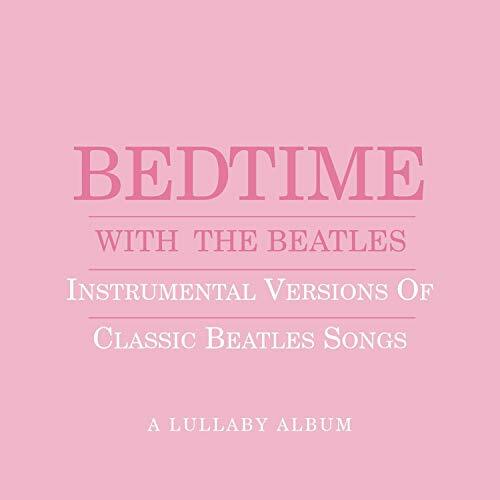 My husband and I love the multicultural aspect of the compilation and our two month old baby falls asleep within minutes of hearing notes from any of the songs. The songs are magical and so are their effects. Another gorgeous collection from Putumayo which has its intended effect on our 9 month-old whether in the car or at home, yet is wonderful listening for the parents. Each track is beautiful but standouts for me are the opener with Carlos Santana guesting and the haunting Teresa Doyle lullaby. 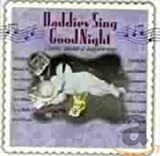 THIS IS THE BEST LULLABY CD AROUND, NO KIDDING! My sister passed the entire set of tapes to me when my son was born. It was her saving grace with her colic baby. It shortly became mine. My son is now 19 months old and as soon as he hears the heart beats he climbs into bed without much resistance at all. The tapes are now worned out from excessive use and I have recently purchased two cd's, one for home and one for daycare. The CD is a hit at daycare! His friends seem to love the music as well. gift. We highly recommend it! We were given the cd as a gift, thru the Air Force's "First-time parent program" and didn't use it at first. However, when we did start to use it, we felt really stupid for waiting so long. We put my daughter to sleep every night with this cd, and use it as needed during the day. When the cd starts, you can see and feel her start to relax immediatly. Of all of the things that you need to have as a parent, this ranks as one of the top items! Still using it 5 years later!!! I bought this CD when my daughter was a newborn. In the beginning I'd rock & sing to her and just before she fell asleep, I'd put her in her crib. Eventually I was able to lay her in her crib and just sing to her and she would be asleep before the end of the 2nd track. Now, as a new kindergartener, she has been having trouble falling asleep so early. I brought out the old CD and played it for her. She even remembered the music. She visibly relaxed the first time I turned it on and was sound asleep within 15 minutes. It has once again become part of her bedtime routine. First thing to buy for a new baby! This CD really BLOWS!!! When I have my children, I will provide them real music to listen to that can enjoy, not this horrible, stupid rubbish coming from a lame bogus ugly purple creature. This CD is way darn overrated! I would give it no stars if I could. Why the heck did this CD get so many high ratings, when it's nothing but lame rubbish that would drive any parent up a tree? Are these people serious who are listeners that are not little kids? Come on! Don't waste your money on this, because before you know it, your kids will outgrow it! Instead, I highly recommend anything and everything by Led Zeppelin! Led Zepppelin rules! Get the Led out! This is one of my son's favorite Barney CDs. He can listen to it over and over and never get bored. He even sings along with the songs and enjoys all of them. 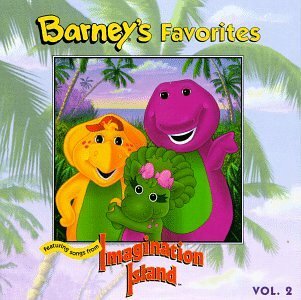 I would definetly recommend this CD is your child likes Barney. A lot of the songs teach kids great lessons like everyone is special, we all grow, friends and manners are good, buckle your seat belt etc. The downside of the CD is, like most Barney CDs, the music can get really annoying after a while for the parent. But if your kids like Barney then they will enjoy this CD. Hi, i'm a 15yrs old girl, i'm french and i wanted to say that barney is really really great when i was little i used to sang his songs at school and now i'm older but i'm still a great fan ! barney is fantastic for childrens ! Great CD in the car! I have an 18 month old who usually hates her 1/2 hour commute to and from daycare. Every morning when we get in the car, she immediately asks for "Barney". She is so happy now in the car, I actually don't even mind listening to it! We've listened to it so much, she now sings to all the songs and knows where they are on the CD! Not one great volume, but two!! Beware of the obnoxious tracks! 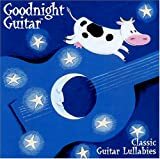 I saw this CD and thought it would be great for my daughter whom I like to expose to as much wonderful music as possible, particularly at bedtime. The first night I played it, I stayed in her room and listened to the first 2 songs - they were charming versions of some well-known classics. Then, I turned on the baby monitor and went into the other room. Suddenly, my ears were accosted by the most obnoxious, laughable sound of track 3. It is a synthesized, incredibly upbeat version of Hush A Bye Baby sung by a woman with the most grating voice. The same can be said of Twinkle Twinkle Little Star and Frere Jacque (tracks 6 & 11). Besides being irritating, these songs are actually LOUDER than the rest of the instrumental songs and could easily jolt a sleeping baby out of slumber. Those 3 tracks completely undermine the "Lullaby" theme. I will be burning this CD onto another CD and leaving out those 3 tracks. Had I read the reviews and seen that others had complained about these same tracks, I never would have bought it. This CD defies logic and you will be better off without it! I purchased this CD under the impression that it was all instrumental music - WRONG! Interspersed with rather lovely renditions of classical favorites -- perfect for bringing a baby to sleepyland -- are painfully perky upbeat vocal variations on a few traditional lullabies that have a tendancy to jar a baby awake! Rather antithetical to the purpose. A lullaby is a soothing song used to lull a child to sleep. This CD features the most annoyingly rambunctious renditions of Hush A Bye Baby (track 3), Twinkle Twinkle Little Star (track 6) and Frere Jacques (track 11) I have ever heard. (Of course, I've never before heard any rendition of Hush A Bye Baby that could be characterized as rambunctious.) These tracks are peppy, bouncy, not at all soothing. Might be good for a toddler jumping dance, but the CD is called LULLABIES, not Baby Dance Tunes. These tracks are guaranteed to wake up the soundest sleepers. They certainly won't lull anyone INTO sleep. The last track (14), When You Wish Upon a Star, isn't as annoying as the other three, but it also isn't as soothing as it should be. Strangely there are absolutely no liner notes. No indication of who this incredibly annoying vocalist is, or who performed any of the music. The remaining tracks are all instrumentals. They are acceptable renditions, but not particularly noteworthy. A major disappointment and waste of money. I would recommend Mozart Wombsong from Musical Soup instead. Soothes my little guy every time. Do you want to raise a child who has absolutely no musical taste or refinement? Subject him or her to this substandard collection of hack-job performances, and you may get your wish. This CD is obviously a slapped-together production, designed to make a quick buck more than anything else. The production values are absolutely bottom of the barrel. I am only thankful that I didn't pay money for this. It came as a gift, and as a formality I gave it one run-through on the CD player. It has been permanently retired. I received Celtic Twilight 3 Lullabies as a gift and have been playing it for my son since his birth. He's now a year old and has come to expect it's soothing sounds at naptime and bedtime. If the CD isn't handy, I only have to sing "Castle of Dromore" to him, and he drifts off to sleep. You would think having heard the same music several times a day for a year, I would be sick of it...but I'm not, and we both enjoy it tremendously. I have recommended this CD to several friends and have given the CD as shower gifts. 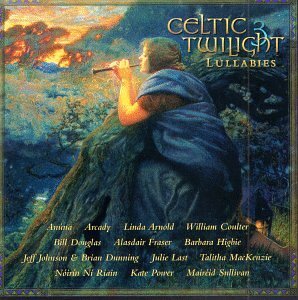 I purchased this CD because the first two Celtic Twilight CDs were wonderful. We listened to this CD moments after the birth of our first child. Each hospital attendant that heard the CD wanted to know about the beautiful music. Some tracks still bring tears to my eyes while I am holding my son as he falls asleep. I believe this will always be my favorite CD. This would be a perfect gift for any expecting or new parent. I received this CD as a shower gift, as well as a number of other lullaby CDs by various artists. This one is our absolute favorite. My daughter goes to sleep to this CD every night. It's beautiful melodies are very soothing, and I never tire of hearing it, and neither does she, and she's now almost 18 months old. I even find myself humming a couple of the tunes at work. 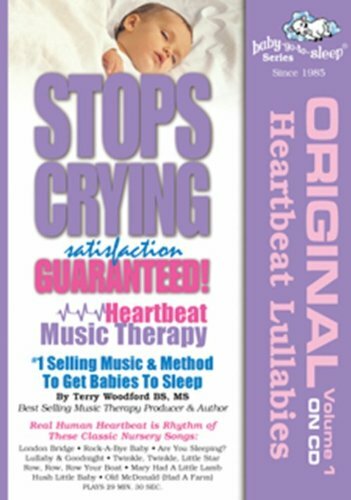 It's not your typical lullaby CD by any means. It lasts about an hour, and even through those nights where she's up sick and doesn't sleep well, we play it over and over again. I have MAJOR trouble relaxing. It normally takes something like a 90 minute massage, a very long walk, or an hour soak in a hot tub. Now, as if being good for me wasn't enough, my two extremely active kids love it. This CD instantly puts my 10 year old daughter and 2 year old son asleep for a nap or in the evening. Both even ask for it if they need a "little time-out alone". All around it's a WONDERFUL CD!! My Granddaughter Called This "MY CD"
I was looking for a lullaby cd that wasn't "kid's music" and that would reflect my baby's Meditteranean heritage. This cd is so beautiful some of the songs bring tears to my eyes. I listen to it every night, and will do so when my baby arrives. I can't recommend this cd enough. What a lovely CD. We listen to it during quiet time, or just when we want to slow things down a bit. We like it because, quite simply, it's just beautiful music. I bought this CD for my daughter to help her relax when I lay her down. And so far it has done the job. I especially like the mix of music from around the mediterranean, the songs come from a variety of countries including Greece, France, Italy, Spain, Morocco, Lebanon, Israel, and Catalonia. All the songs are beautiful and calming. Basically a wonderful CD. This is a wonderful CD, my baby enjoys it as much as I do. The songs are soothing and melodic. The selection of songs from countries around the Meditterranean is great. I memorised some of them even though I don't know the language, I sing them to my little one when we are not home or simply when I want a peaceful and intimate moment with her. I recommend this CD very much. I bought this for my two small daughters and found I loved it so much that I play it much more often than just for naptime! Mr. Cobo's skill with the guitar is amazing and pieces he chose aren't the "normal" lullabys....and thank goodness they aren't! They are unique, playful, sensitive, soothing and a delight to listen to. The packaging is also so well done that when I give it as a gift (both to my friends that are expecting children and those that aren't! ), it makes it feel like much more that "just" a CD. Whether you have kids or not, this is wonderful CD and I highly recommend it to everyone! Finally, a classical CD my kids and I both loved. As a musician myself, I appreciated the expertise of Ricardo Cobo and the pieces he chose. As a lullaby program, I found this recording very clever and quite unique. The first few tracks got my kids attention. The selections were energetic and fun (not what I would usually play for them right before bedtime). The next few tracks seemed to guide them from their usual hyper "I'll prove to you I'm not tired" pre-bedtime behavior to a calm and inquisitive state - asking about the "musical stories" they were hearing. A very gentle and gradual winding down. The last few tracks we found to be very comforting - like coming out of a warm bath. The best part is that it's 8:30pm and they're BOTH asleep! This is an amazing cd-very soothing and beautiful. My four year old listens every night before bed, and if his dad or I listen too, we're likely to fall asleep with him! My son takes his nap to this every day. The playing and music are beautiful and timeless, takes you away. I received this as a baby gift and give it to everyone I know that has a baby. I love this CD. Being the only non Cuban member(by marriage) of a Cuban household,I've heard several of the songs on this cd sung over the years,mostly by my mother in law. I found them amusingly rich,beautifully depicting the love of mother to child in it's own unique way. Sifting thru the latin music racks, I came upon this cd and what a find !! Cuban music is rich in diversity and these lullabuys are beautifully recorded by great Cuban artists. To the person who thought these folks are cashing in on The Buena Vista craze,you're so wrong. This selection stands on it's own and I would strongly recommend it to anyone interested in Cuban music, for it's beauty and insight. It would be great for lullabuys, too but my kids are 18 and 16 now... Standout cuts are "Drume Negrita"(the opening cut), the 2 versions of "Lacho", the beautifully classical "El amor de Caracol & Lombriz" and my personal favorite, "Arrrurru". which brought a smile and a tear from my mother in law when she heard the wonderful acoustic version by Pablo Melendez (along with an off key singalong!!! 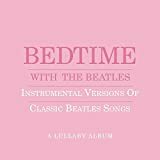 )Whether it lulls you or your child to sleep or brings a smile to your face and soul,it is a must buy for anyone who enjoys sweet wonderful music! This is an AMAZING CD!! 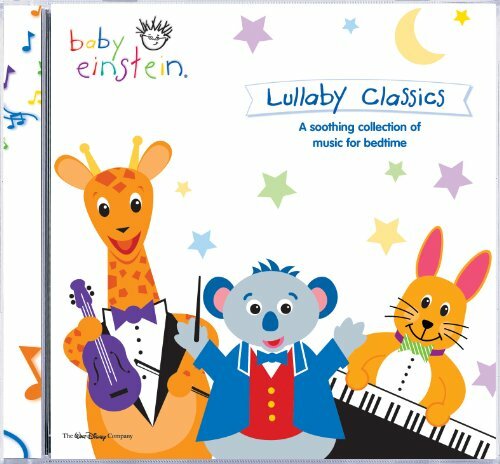 I bought this Lullaby collection on a recommendation of a friend to help put my two year old daughter to sleep. She has been keeping us awake every night. 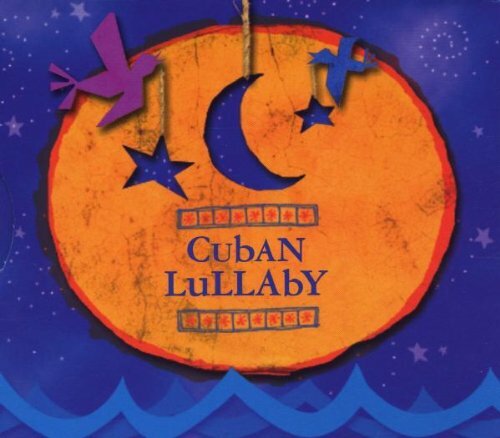 Not only did this WONDERFUL collection of Cuban Lullabies help my daughter to sleep, but it has become my favorite CD as well. 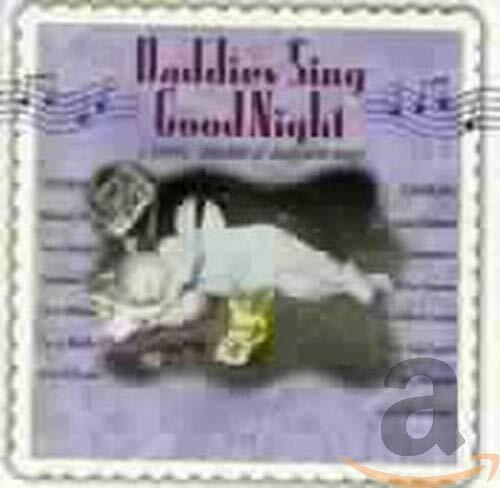 The music is beautiful and a welcome relief from the "itsy bitsy spider" and other popular American children lullabies. I would recommend this CD highly to any parent. This would make a great gift for anyone with kids for the holiday season. I am Cuban-American and found two rare gems this year. 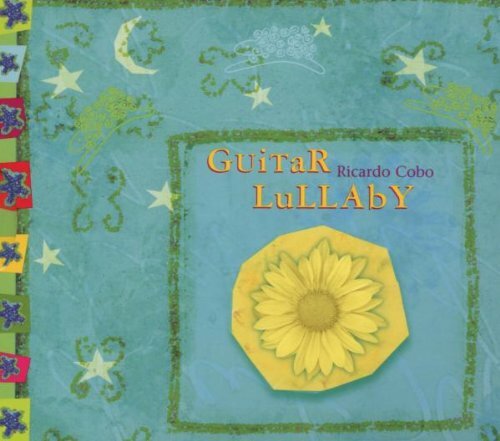 This CD, CUBAN LULLABY and the Cuban-American bilingual children's picturebook set in Cuban Miami's Little Havana Calle Ocho Festival, DRUM, CHAVI, DRUM!/TOCA, CHAVI, TOCA! The characters, author and illustrator are Cuban. These two recommendations are for children, but if you're Cuban-American or Latina/o you will relish in these two items no matter how old you are. 10 stars to both items! It is so wonderful to hear this album together with my child. I am looking forward to sharing this album with my new baby as well. My family is from Cuba and although my Abuela (grandmother) and Papi (father) are no longer with us, this album captures the songs they would share with my children. It is hard though, to listen to songs like Drueme Negrita, a favorite that my Dad would sing to me when I was young without shedding a tear. Hearing these special songs reminds me that my family and heritage are always with me. For anyone else it is enrichment for the child to hear songs in other languages with a different tempo and style. I highly recommend this for adults and kids alike. What a surprise! What a delight! 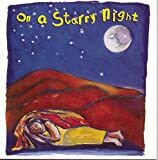 This would be a fun CD to use as a bedtime CD for kids, encouraging them to relax and imagine they are drifting off on a barge on a night-dark river. Or good for atmosphere during your next sushi dinner at home. Very pretty stuff. "Oyasumi" is a very deceptive album: deceptive in its simplicity, that is. Like most folkloric music, the songs on this CD are deeply rooted in experiences common to all people, and their emotional impact is complex, subtle and very powerful. 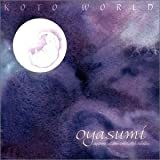 A mesmerizing, vey relaxing compilation of songs sung in Japanese and English. Some interpret classic folk tunes, some are modern original ballads (a la Jewel or Tracy Chapman). All feature Ms. Shimada's spectacularly clear, pure, delicate voice, accompanied by the sonorous rainwater sounds of Ms. Falconer's koto. The harmonies are delightful and enchanting. Even without knowing the lyrics (which can be accessed on their website), you'll be able to hum along with many of them, and the language exposure is wonderful for young minds! The CD is long enough that even an energetic little one will slow down by the end. My 18-month old was completely transfixed for the first 3 or 4 songs at least, and on subsequent days would hand me the case as a hint to play it, even at bathtime. With songs about dragonflies, cherry blossoms, stars and the ocean, one's spirit feels charmed, lightened and youthful; and yet there is also a deep wisdom and connectedness to nature and culture in these traditional sounds that have probably soothed generations.